There is a growing desire to find out about ourselves and where we came from, and in the past ten years, family history research has become one of the fastest-growing hobbies and pastimes, particularly on the internet. 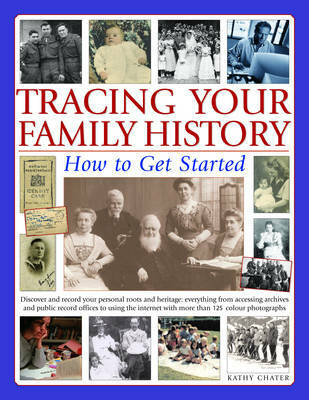 This practical book introduces the subject of genealogy in a highly practical form and then examines and explains the process of tracing and finding ancestors in a simple and easy-to-follow way. The book begins with the very basics of starting your own research, guiding you through each stage, from finding clues in photographs and understanding naming patterns, to creating drop-line charts and beginning to draw your own family tree. The next section takes you back to the early 1800s, and explains how to take your investigations further by using all kinds of sources, both in archive form and on the internet, especially census information. The book also goes on to explain how to find relatives through their professions, apprenticeships, education, and military records. Whatever sparks an interest in your family history, whether it be an old photograph, the discovery of family documents, the reading of a will, a discussion with a much-loved older relative or any one of a hundred other things, you will be starting out on a fascinating journey. This useful guide to genealogy, filled with hints and tips, will help you discover your roots, identify your ancestors, and unlock the secrets of your family, its heritage and its place in the world.